Maillardville, BC is in fact, the only identifiable French settlement west of the Rockies, they say. 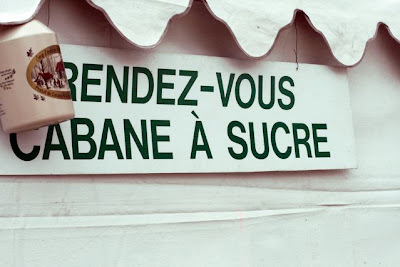 This wee community, inside the city of Coquitlam [near Vancouver], hosts the "Flaunt your Frenchness" festival annually and we hate to miss it. The weather is hit or miss. Usually miss. Today it even snowed, which was a first for us. But it didn't stop us from really enjoying both the kid and grown up entertainment from around the world. 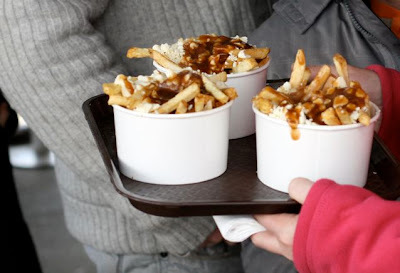 In addition, we always spend some quality time in the poutine line up; an essential part of every visit. 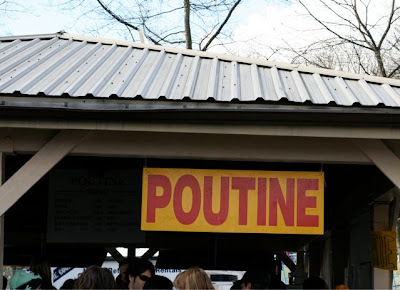 That's right, when else can you eat french fries smothered with gravy and topped with cheese curds and feel ok about it?! And for dessert you ask? 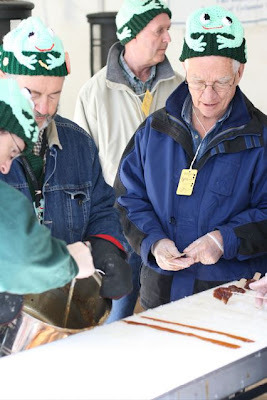 Well, there's sugar pie and crepes of course but we always check out the sugar shack for some maple syrup candy which includes lively musical entertainment. Wow,imagine getting all of those treats at one stop. 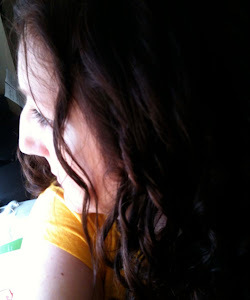 OMG my teeth hurt and my gout is acting up but I can still hear the music and the laughter. The togues are delightful too. 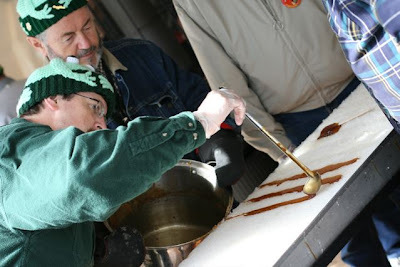 Is that ice that those maple syrups pops are sitting on?! I can tell you of a few little munchkins (oh, alright, big ones too :) that would want to get their mits on some of those! Such great photos. 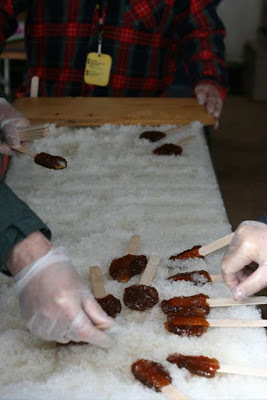 Yes, the maple syrup is on snow ... it's cold and sweet and wow! You can't eat that everyday.